I assess your face shape, colouring and natural brows to determine the best result for you. Some clients can achieve the perfect High Definition Brow shape on the first visit, whilst others may need a few treatments and be advised to grow in more eyebrow hairs to get the best results. 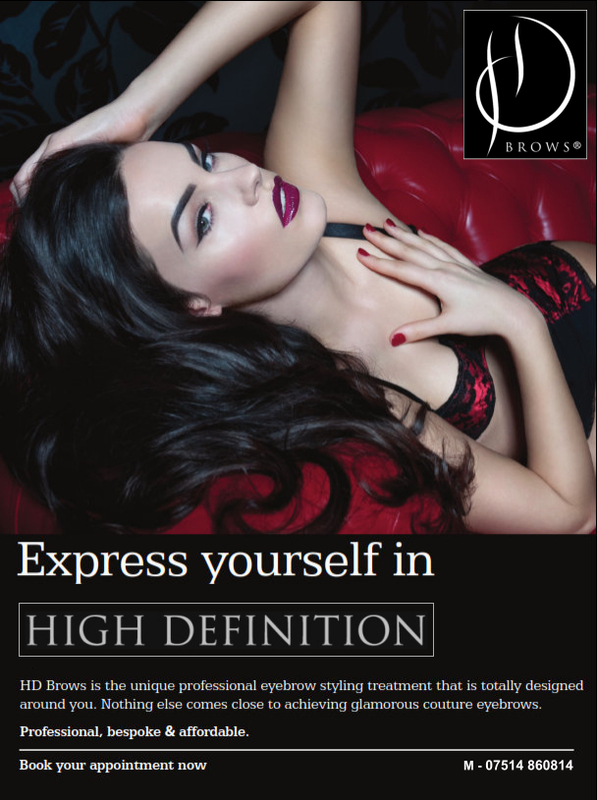 High Definition Brows can be thick or thin, dark or light, angular or soft. Whatever the current state of your brows, I will advise you on the process that is best for you. I will tint all your brows, including the stray ones around the brow, so I have the maximum to work with and get the best shape for you. This tint is a special, high pigment tint to give longer lasting results than traditional tints. I mix the tint according to your present colouring and desired result. I will wax above and below the brows to achieve the famous High Definition Brow shape, ensuring I tailor the finish to suit your face shape. I will thread the ‘fluffy’ hairs surrounding the brows to blend into the hairline. I will tweeze your brows to perfectly fine tune their shape. I will trim any long hairs so that all of your brow hairs lie perfectly in their newly defined shape. Some clients will need a small amount of eyebrow pencil or powder to fill in any gaps whilst regrowth is encourage of any previously over-plucked areas. Brow Beater is then applied to set your gorgeous new brows into place.